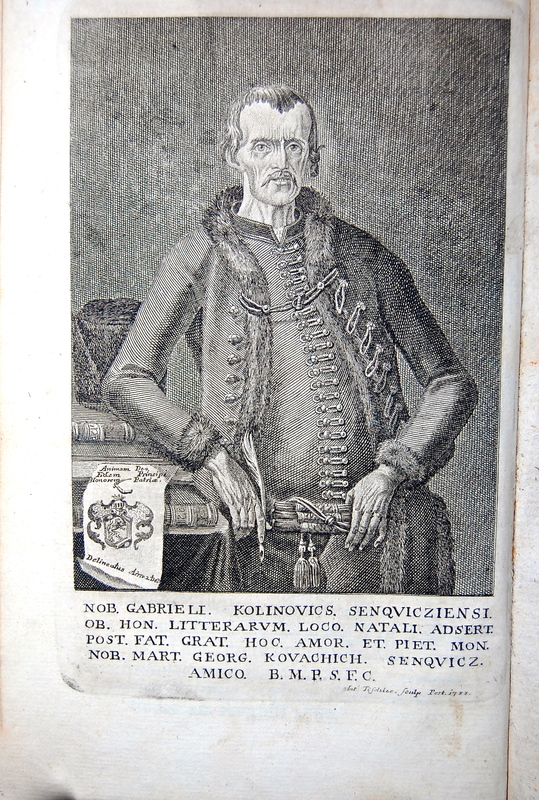 Every once in a while, I buy and sell a book printed after 1700. 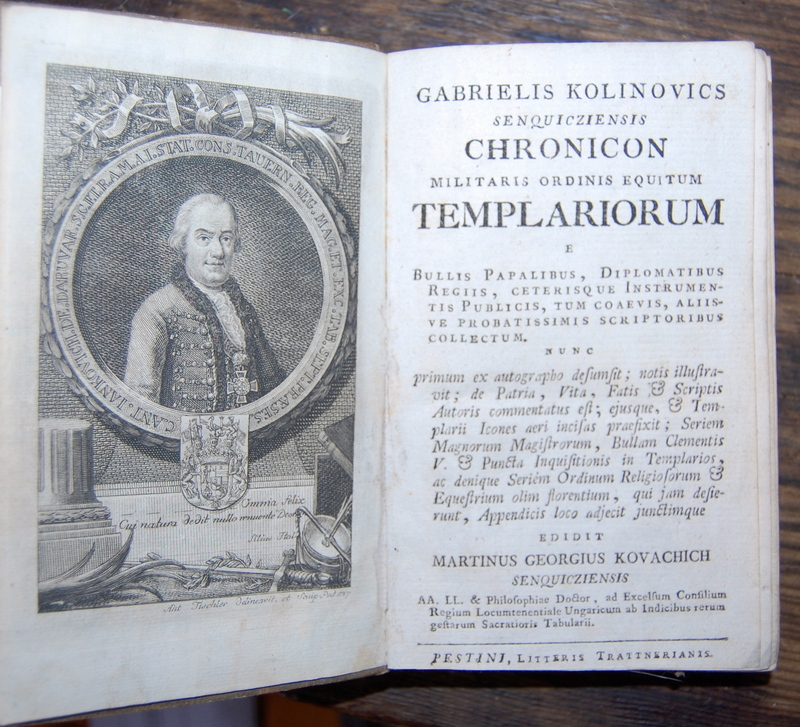 This Templar Chronicle is one of them. 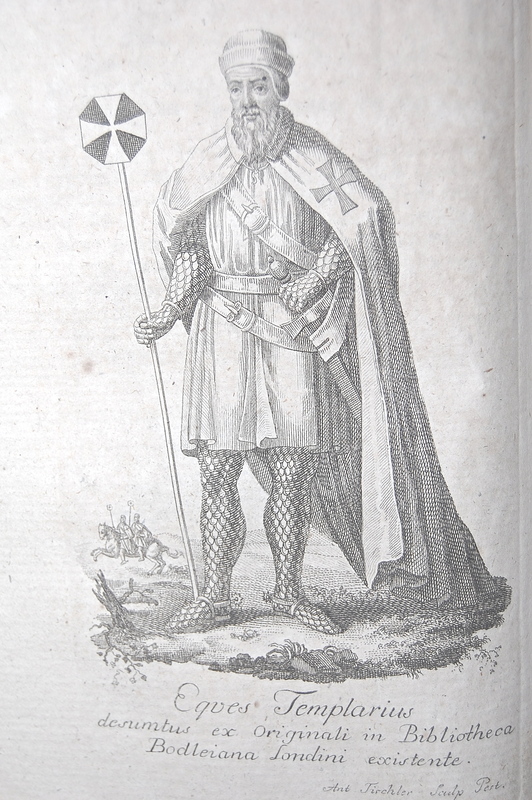 This book gives not just a chronology but also exact copies of the Papal Bulls, and ordinances of the Templars. This first hand documentation makes this very historically valuable. In a weird way I see this as a law book which might be appropriate for understanding todays Military Contractors?? Octavo, 4.5 X 7 inches . First edition a8,A-I8, A-T8 there are three full page engravings. This copy is bound in eighteenth century pastepaper boards. 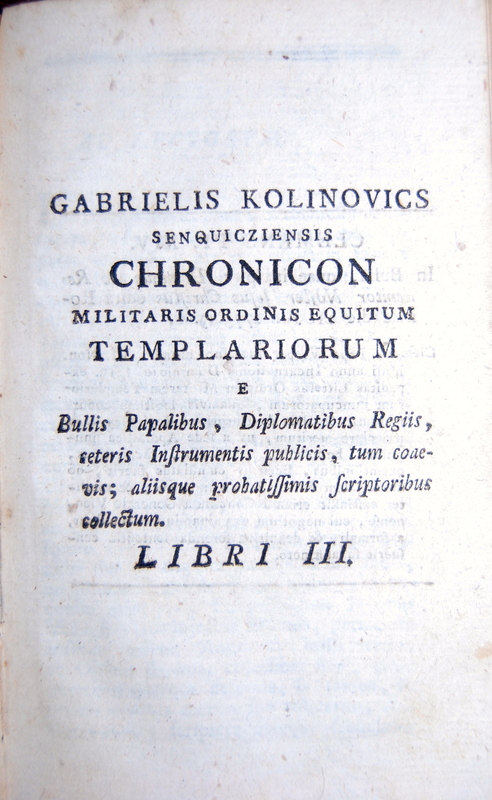 This book on the Templars, unlike much of the literature on the templars contains most of the extant documents and seems to avoid a lot of the ‘mystery’ of the order, In addition to the papal Bulls there is an apendix giving a time line of the templars begining in 1118 and continuing untill 1309 the demise of Jacques de Molay. A further Appendix is a printing of the “Processus Contra Templarios in Regia Anglia 1408 (ex Cod <.S. Bodl T.8>. 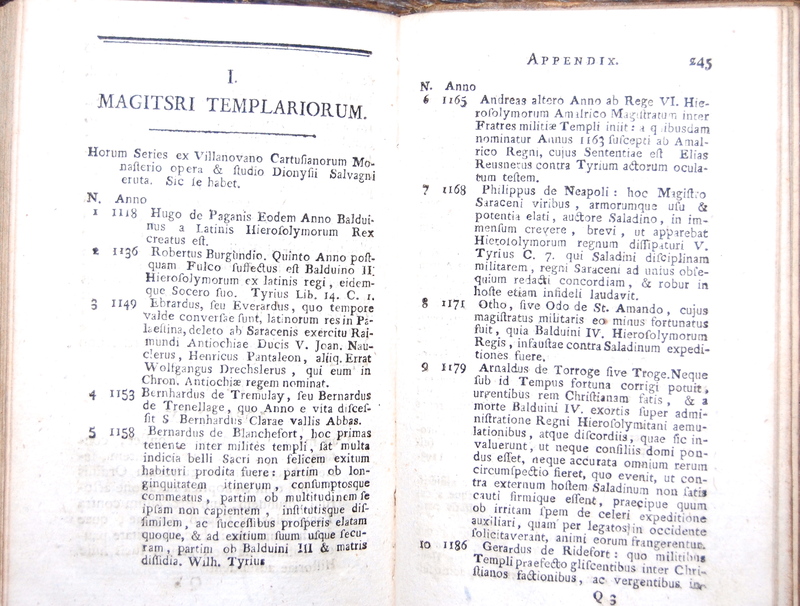 This is a very intreguing collection of early templar documents! , natomiast dawny jako May diabli. Wkrótce już sam ażeby zdechł. cechu. Smoka uprzednio nie stało się, a.